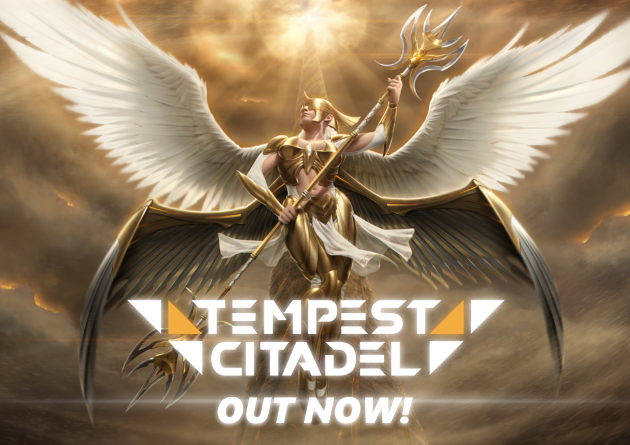 Launching Tempest Citadel, a sci-fi strategy team management and base building game. Tempest Citadel is a strategy game set on a storm-ruled planet in which sci-fi and fantasy collide. Assume the role of an enigmatic Captain from Terra, whose past and future are yours to shape, as he embarks on a mission to explore a deadly world that promises wondrous and terrible power. But you are not the first to come. Armies of ruthless enemies hide within the clouds, hungry for the blood of the weak and the foolish. From gene-spliced psychics to cyborg dark-mages, other factions have claimed the ancient sites which hold the technological marvels you seek. Can you build, grow, and risk enough to stand against your enemies? Will you forego mercy against those who would show you none? Do you have what it takes to fight for control of this world and claim the secrets of the ancient dead race that once ruled it? What lost secrets lay hidden beneath the eons-old storms? What unimaginable treasures await your finding? What will you sacrifice to find out? Be the Captain of the Terran ship. Brave the dark reaches of the storm world. Build a Tempest Citadel that will outlast them all.